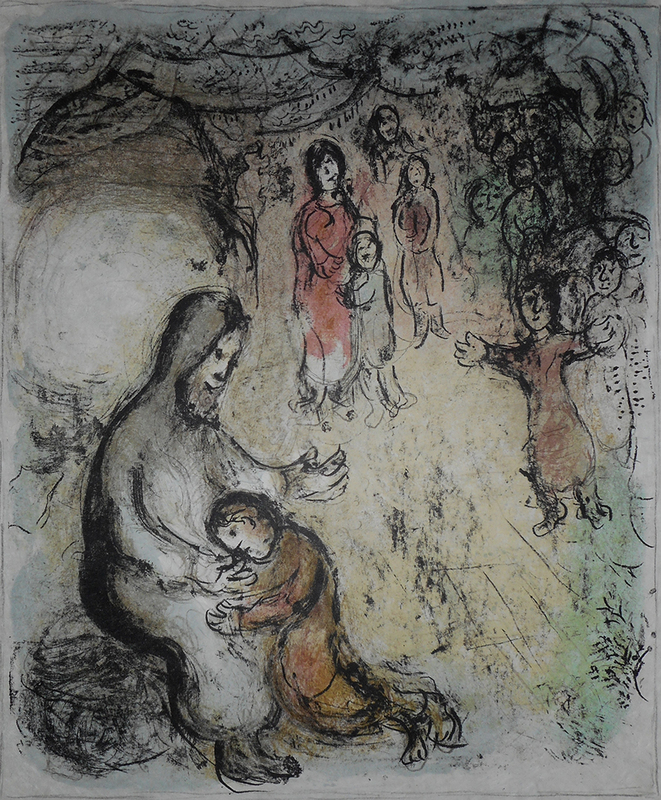 Painter and designer distinguished for his surrealist inventiveness, Chagall developed an expressive and colorful pictorial style, closely linked to his life experiences and to the religious and popular traditions of the Jewish Russian community. His artistic concerns took him to Paris in 1910, where he reached his artistic maturity. The artist’s distinctive use of color and form is derived partly from Russian expressionism, and he was greatly influenced by French cubism. In spite of his significant relationship with certain artistic movements, especially surrealism, he never joined any avant-garde current. His life was marked by a feeling of rootlessness from his native country and culture, forming his own unique style and language, which would be the basis of his artistic creation.